This beautiful woman is dressed in a gorgeous peach dress, reminiscent of times bygone. 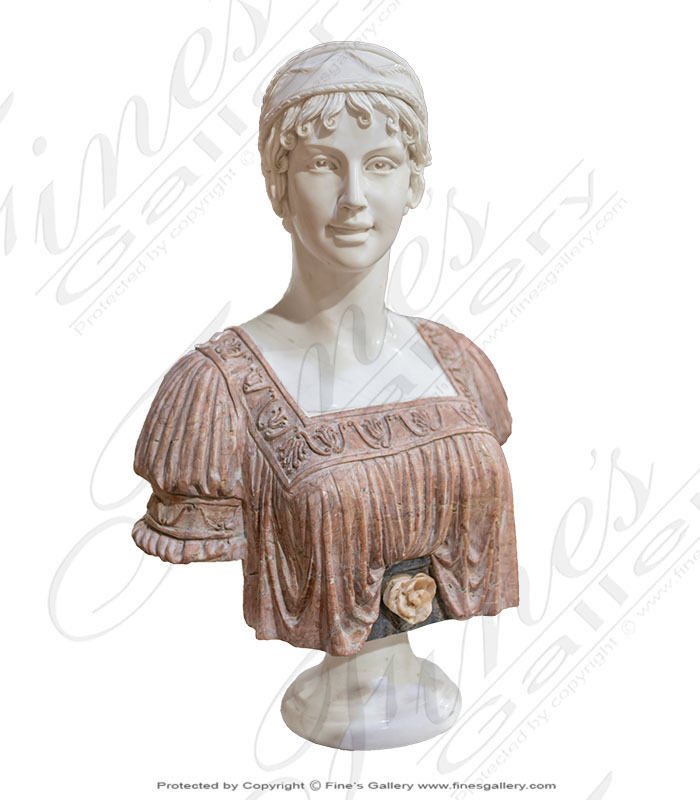 Her face and figure display exceptional quality, and she is carved from genuine marble. A fine tribute to ancient culture and a lovely addition to your home. Yes I would like more information on MBT-410.